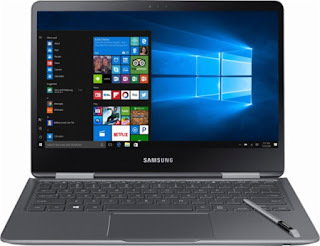 The SAMSUNG NOTEBOOK 9 PRO NP940X3M-K02US is a laptop PC comes packed with 7th Generation Intel Core i7-7500U ultra low voltage dual core SoC that features 4 MB level 3 cache and runs at the base clock speed of 2.7 GHz with Boost speed up to 3.5 GHz. It supports Hyper Threading technology to be able to process up to 4 threads at once. It has an integrated GPU called Intel® HD Graphics 620 clocked at 300 - 1050 MHz. The SAMSUNG NOTEBOOK 9 PRO NP940X3M-K02US laptop PC is equipped with 8 GB system memory for intense multitasking and gaming; 128GB solid state drive (SSD) which is much better than HDD; microSD memory card reader; 360° flip-and-fold design; built-in speakers with SoundAlive makes auto adjustments to the sound quality to optimize your audio experience; fast charging that recharge your laptop from anywhere with a portable charger thanks to USB-C charging capabilities; S Pen that work more intuitively with the built-in, precise, pressure-responsive S Pen that never needs charging; backlit keyboard for easy typing in dim or dark locations; and a 4-cell 3530 milliampere hours battery to be able to use this laptop whenever you are away from the main source of electricity up to 11.5 hours. Software packages include PC Gallery, PC Message, Samsung Recovery, Samsung Settings, Samsung SideSync, Samsung Update, Simple Sharing, teamPL. It comes in Titan Silver color for stylish look. This laptop PC comes equipped with 13.3" Full HD touch screen for hands-on control with 1920 x 1080 resolution. The resolution of this laptop is high compared to other laptops, it is expected that the display of this laptop is sharp and clear compared to laptops with lower screen resolution. The display also features energy-efficient LED backlight. 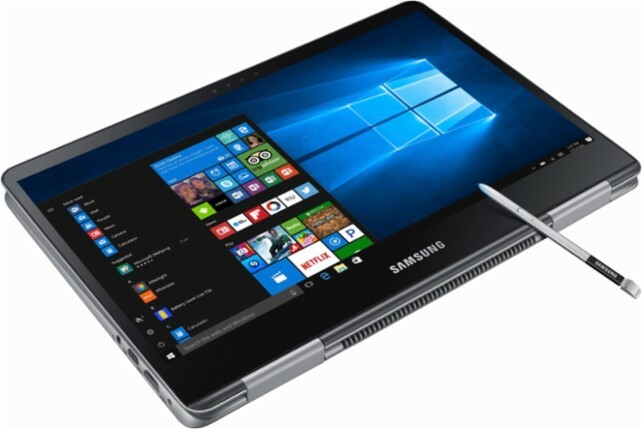 With regards to connectivity, this laptop comes packed with Bluetooth 4.1 interface syncs with compatible devices; 1 USB Type-C, 2 USB 3.0 ports maximize the latest high-speed devices; HDMI output expands your viewing options; and Next-Gen Intel® Wireless-AC connectivity (2x2, 867 Mbps). 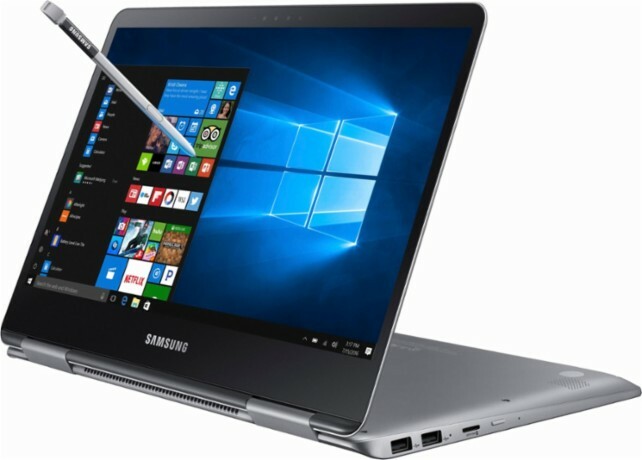 This SAMSUNG NOTEBOOK 9 PRO NP940X3M-K02US is powered by Windows 10 operating system. This laptop has the following dimensions: 0.63 inches x 132.21 inches x 8.54 inches and weighs about 2.91 pounds. You can get this laptop PC at the price of $1049.99. Other laptop in this price range includes ACER ASPIRE V NITRO AN5155170V4 ; HP Omen 17-W210NR; and MSI GL62M 7RDX 1096. Do you own this laptop computer. Please let us know your experiences with this device.